What is the ClixSense Popularity All About? Product Overview – What is ClixSense? I came across quite a few positive ClixSense reviews ranking it as “the oldest and most trusted site.” This, of course, made me curious what is this ClixSense popularity all about and if it lives up to its reputation. So I decided to join and experience it first hand. 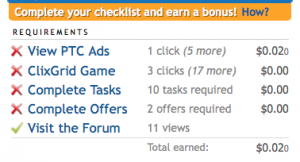 Clixsense is a PTC (Paid-to-Click) website where you can earn money by clicking on advertisements or link to sponsor websites, taking surveys, or completing various tasks. As a potential consumer of their sponsor, ClixSense pays you for your web browsing, up to $0.02 for every website you visit. There is also a commission potential via their affiliate program by referring people to join Clixsense. Clixsense was born in February 2007. So, it is one of the pioneer PTC sites to first appear on the internet. After nine years, while most of them have closed down, it has outlasted its competition. In this post, I will share what I experienced and found out about Clixsense. If you are considering joining, hold on before clicking on that “Sign-Up” button until you finish reading this review. Here we go! Just like any other PTC sites, Clixsense is entirely free to join. Free members are called Standard Member. If you choose to upgrade to Premium, you pay $17 for a one-year membership. They also offer a 2-year Premium Membership for $30. Unless you do very well with their referral program (more on this later), I must say the earning potential is very small. This is the biggest drawback with these PTC websites and ClixSense is no exception. At the time of writing this review, ClixSense claims they have 5,607,179 members worldwide who have earned a total of $12,960,303.93. This comes out to $2.31 earned per person. As you can see, the payout is not high whatsoever, although it is still better than a site like SuperPay, where the average earning is less than a dollar! The income you earn is paid directly to you every month by PayPal, Payza, PayToo, Neteller, or Check. Their minimum cashout is as below. Since November 2015, ClixSense started processing cashouts every business day, which is great news for members. They process cashouts Monday thru Friday unless there is a US holiday during the week. ClixSense is accepting members from all over the world, except for some restricted areas (Afghanistan, Albania, Antarctica, Azerbaijan, Cuba, Kazakhstan, Iran, Iraq, North Korea, Niger & Vietnam). 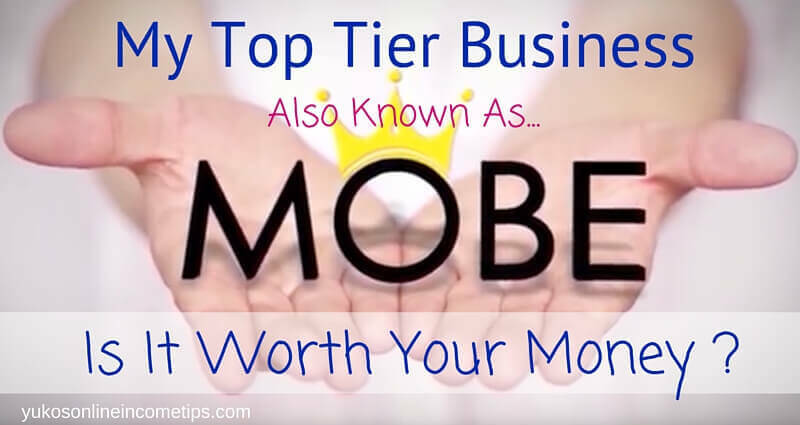 People who are 16 years of age and older can join to make extra money online. No particular skill is required. Those who are 13-15 years old MAY be allowed to join with consent and supervision by their parents or guardians. If you prefer a video than reading a description, you can watch the tour video below. ClixSense gives quite a nice overview in about 4 minutes. The longer the ad, the more you earn. Here is the breakdown. To me personally, viewing an ad that I have no interest in for 60 seconds is almost painful… Keep in mind, if you go to a different window to kill time, the timer of the ad stops! They make sure that you STAY on the page for the set time. A nice feature they offer, which I don’t always see at other survey sites, is their Survey Profile. You fill in the necessary information about you and Clixsense brings you more relevant surveys. Supposedly, this should reduce the chance of getting disqualified. Completing a survey is such a weary task, though. I tried one 25-min survey, which actually took me 40 min to finish, and earned $1.25… In hourly wage, it’s only $1.87 per hour! A task is a set of instructions that you need to follow and get paid for it. They could be categorizing images, taking surveys, watching videos, make online searches, etc. You can access these tasks through your account page. A company called CrowdFlower manages tasks at ClixSense. I saw complaints within Forum that some members don’t get any tasks available for them, but ClixSense does not possess any control over the number of tasks offered or their value. 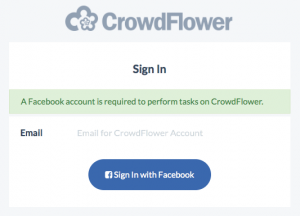 Not sure if it’s only me, but when I attempted these tasks, CrowdFlower asked for my Facebook account. Not being comfortable providing my FB account, I ended up not trying these tasks for myself. If you have done it, I would love to hear your experience. On your account page, you can find the Daily Checklist. It’s like your daily “To-Do” list. When you complete all the activities listed there, a bonus will be added to your account total balance. As a Standard (free) member, this bonus is up to 7% of your total personal earnings from ads clicks, ClixGrid, tasks, offers, and surveys but NOT including referral commissions. 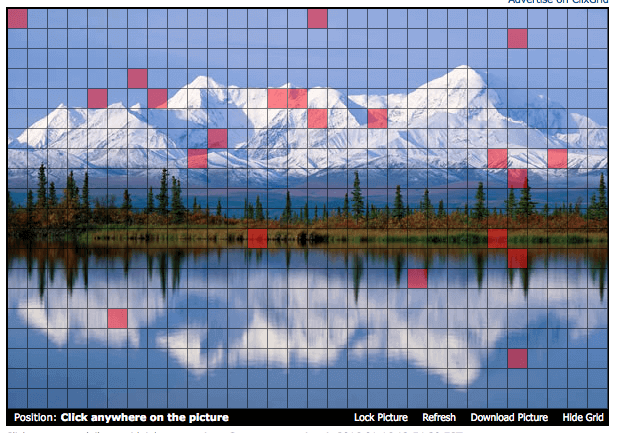 ClixGrid is a game for you to pick the correct spot on a grid and win money up to $10. You are allowed 30 tries a day. To be honest, this was quite addicting. When you click a spot, it takes you to a sponsor ad that you need to view for 10 seconds. At the end of the ad, it tells you if you won or not. It’s as simple as that, but of course, you make no money for the time you invested unless you win in ClixGrid. As an established PTC company with long-standing history, ClixSense has quite an extensive affiliate program with good reputations. Not only are you compensated for referring people to the site, but you also get commissions for your direct referral’s activities. However, commission percentage is very small as a free member. 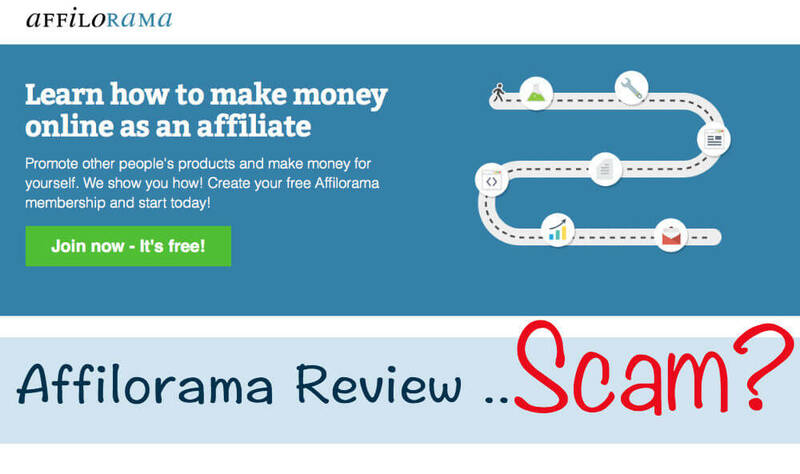 You will need to upgrade to Premium if you wish to make a decent amount of money from their affiliate program. ClixSense does have a Forum. This is a big plus for me as some of the other survey sites I’ve joined didn’t offer a place for communication between members and staff. At the forum, you can view other member’s posts, success stories, payment proof, tips, news & updates, and rules for tasks. As far as I observed, this forum is quite active. Members are constantly posting questions, updates, earnings for the day, etc., and others are responding. I was also impressed that ClixSense provides the forum in multiple languages! “International Forum” is available in 21 different languages and allow non-English speaking members to interact with fellow members in their mother tongue. I know this indeed brings comfort to many people. Unfortunately, my native language (Japanese) is not included there. You can also submit a support ticket or browse through the FAQ section. My Final Opinion – Is Clixsense a Scam? No, ClixSense is not a scam. In fact, it is one of the few legitimate PTC sites on the web. This company is 9 years old now and has no major issues reported by their members. The homepage is easy to navigate. Payments are on time. The forum and community are active. Overall I would say it’s a safe site to spend your spare time. Nonetheless, I don’t recommend it because earning potential is extremely tiny. Sure, the clicks will add up over time, but seriously, would you spend almost an hour just to earn one or two dollars? Unless you upgrade to Premium and actively refer people to join, you won’t make much money with ClixSense for the time you invest. This is no place for you to make a decent income online. There is only ONE program I really recommend. 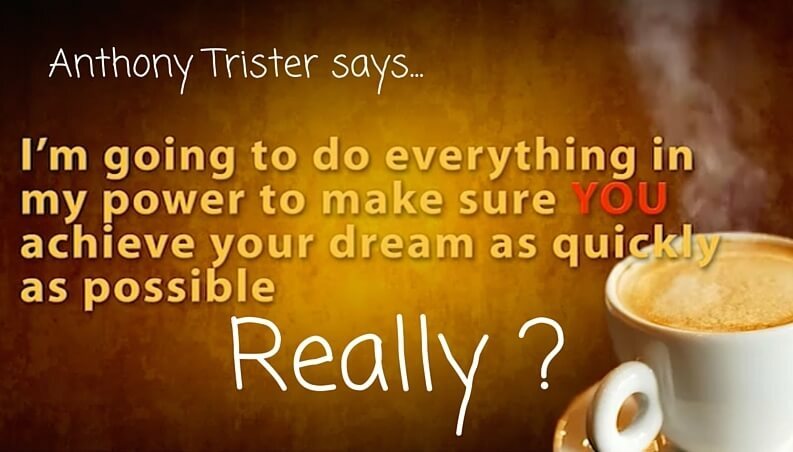 It helped me start my online business and earn residual income. If you would like to share your experience with ClixSense, whether it is good or bad, please feel free to do so in the comment area. 14 Comments on "What is the ClixSense Popularity All About? – Is It Not a Waste of Time?" I agree that Clixsense is not a scam and that a lot of people are using it to get traffic and to get paid for each website that they visit. I would not actually waste my time with something like that because you can earn a maximum of $1.2 per hour which is ridiculous and not even worthy. The quality of traffic that you get is also not something to brag about. I’ve heard the same experience from a fellow online marketer. She used Clixsense to advertise her website, just out of curiosity, and the quality of traffic coming from there was not worth the money. 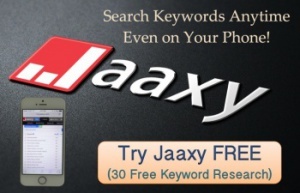 Have you used Clixsense to advertise your business as well? I was thinking to give it a try but now know that I should save my time and energy for something more valuable. Wow I’ve actually never heard of this website, but as far as I can tell from the information provided it is not worth it at all! I know, it’s crazy isn’t it? Clixsense has been around for years and I know they are a legitimate survey program but the payout is just too little for your time and effort. Clixsense and any other online survey sites can be a fun way to kill your spare time, but it can never be a way to earn a decent income. I don’t despise people who devote their effort into these sites. That’s not my intention. I just want them to realize that their time could be spent way more productively, like building your website and learning how to make money off of it. Thanks for stopping by Brianna. Hope this post helped you avoid the detour of giving those PTC sites a try. Hi and thanks for very comprehensive and clear ClixSense PTC review. Actually, you made good points to be smart enough to not waste a time for this. I do not even know how it could be called. A program? An advertising? Or simply a time-wasting enterprise? Here, in my country Latvia, lazy people call it a job online. I think it is ridiculous. Thank you for commenting. There are so many positive Clixsense reviews online so I had my hope up, but unfortunately, this turned out to be another time-consuming survey site with very little payouts. Clixsense is one of the oldest P.T.C sites and many people are making money. But you need lots of referrals if you want to make a good income. Thanks for sharing! Yes, having lots of referrals would be the only way to earn a reasonable income from these PTC sites. I just do not feel comfortable referring my readers to those survey sites where I know they won’t earn much money for the time and effort they invest. I see that you have a nice website promoting PTC sites. Is online survey thing very popular in India now? After reading your review, this PTC site does not look very lucrative. The return is too small. I have seen some of the survey sites that are paying better than ClixSense. I don’t like taking surveys because they are time-consuming. I don’t feel good doing those surveys because a lot of questions do not concern me, and I have to think very hard, or I just throw an answer which defeats the purpose of the survey. Thank you for commenting. I agree, what’s the point of surveys when people are not necessarily giving their genuine opinions, right? PTC sites are just not an effective way to earn income online. PTC sites are not my thing but I still occasionally use one site that does not require me to take surveys to earn small money. It’s called Swagbucks and all I do there is just online searches. I don’t do surveys. Then I would earn perhaps $5-$15 Amazon gift card a month. Check it out if you’re interested. But again, PTC sites are not at all the way you should go. 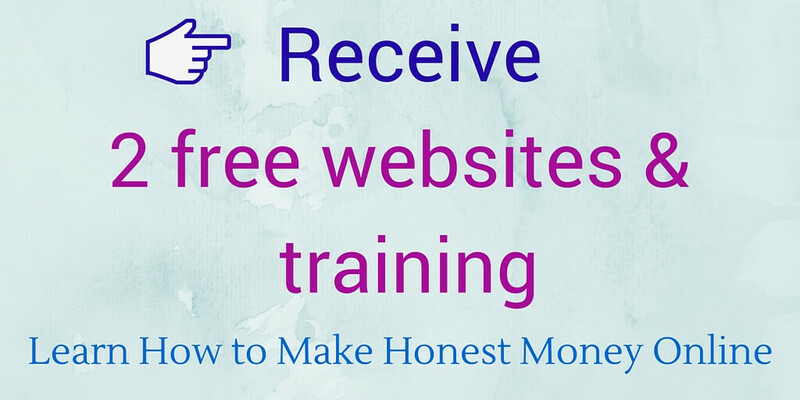 I would rather spend the time building my online business rather than wasting it on surveys. I recently went to check out a few of these ptc sites for research on some articles and I fully agree with you, they are fairly legitimate more or less, but painfully low paying and lots of time wasted. So in answer to your headline, definitely a waste of time. I think if you’re willing to spend that much time in front of a computer might as well go for affiliate marketing. PTC sites are definitely not the path to passive income. I too think that affiliate marketing is the way to go! You don’t need to create your own product to make money and start promoting other’s products that you believe in. It is by far the easiest way for beginners to start out online. Many people are making money by promoting products on Amazon, for example. Although the commission rate is not so high with Amazon affiliate program, it is way better than making just a few buck by taking lengthy surveys at ClixSense. There are legitimate programs that teach you all the skills you need for affiliate marketing including making your own website. I hope people start investing their precious time to those educational sites instead of wasting it on PTC sites like ClixSense. 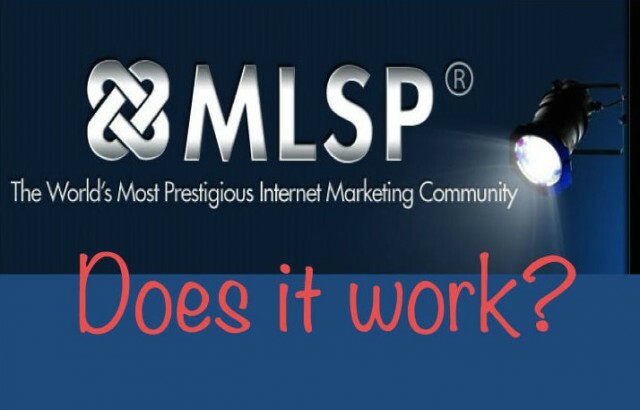 Thanks Maria for commenting and let me know if there is anything I can help you with affiliate marketing! When I first came online I used clixsense exclusively to pay for all my marketing training and tools – I love the site. These days it actually has a few more options to make quick money from. You won’t get rich there – but you will certainly make some legit pocket money to put towards some bills! Thank you for sharing your experience with ClixSense. It’s nice to know that this system actually did help people with bills and stuff. You must have spent hours to earn enough to take care of your bills, though. Did you mainly use it for surveys or built a big referral pool? I hear that the only way to get a decent paycheck from ClixSense is to have a sufficient number of referrals below you.